Finn Bowe scores 16 points as the Capers move on to meet Yarmouth in the Class B South semifinals. 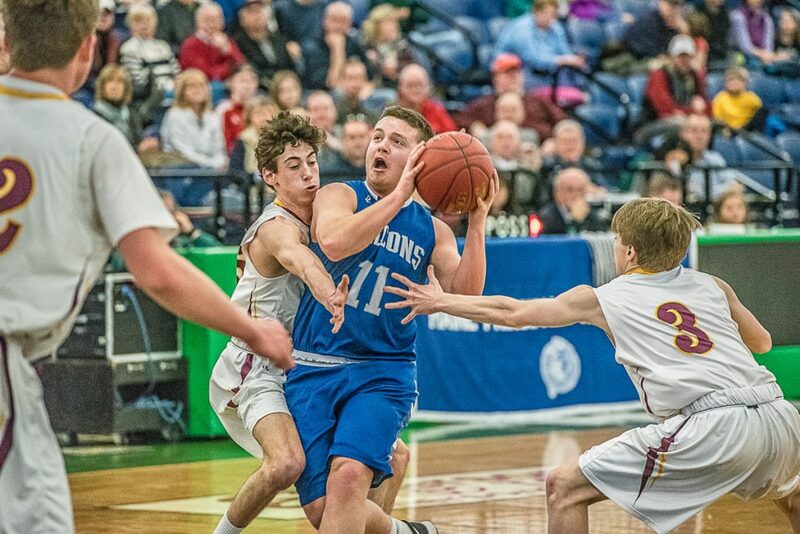 Second-seeded Cape Elizabeth held a one-point lead at the half against Mountain Valley in a Class B South boys’ basketball quarterfinal Saturday in part because Cape standout Finn Bowe only had three points. That changed quickly in the third quarter, as Bowe went off for nine points, and not surprisingly, Cape Elizabeth took control in a 47-31 victory at the Portland Expo. The Capers (12-7) advance to a semifinal against rival Yarmouth at 6 p.m. Thursday at Cross Insurance Arena. Bowe led all scorers with 16 points – 13 in the second half – and Andrew Hartel added 15 despite being in foul trouble. Hartel scored six first-quarter points to help Cape Elizabeth get off to a good start, and a late 3-pointer from Bowe gave the Capers a 12-8 lead. In the second quarter, the Falcons (11-8) went on a 9-0 run to erase a 17-10 deficit and take a short-lived lead on a layup by Will Bean and a free throw by Taylor Pelletier, but consecutive Hartel baskets put Cape Elizabeth back on top. After Bowe set up Liam Jacobson for a 3-pointer to start the second half, he drained a 3 of his own. Then, after a tremendous save by reserve Matt Conley, Bowe buried another 3-pointer to stretch the lead to 33-23. By the end of the third, Cape Elizabeth was ahead 37-25. The Capers made enough free throws down the stretch to hold off Mountain Valley. “We’re still working on playing good basketball, so I was glad to see them step up and play good basketball today, especially in the second half,” said Cape Elizabeth Coach Jim Ray. “There’s no givens here. You don’t know how kids will react in this atmosphere. Jacobson added eight points for the Capers, who split a pair of regular-season games with Yarmouth. Keegan Davis scored 14 points for Mountain Valley.